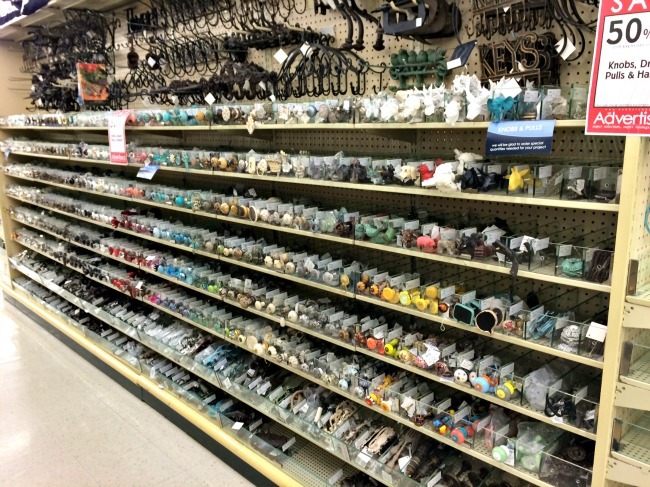 I've been waiting forever for Hobby Lobby to get a new round of hardware in (they had to sooner or later). It's finally here, and the selection is even greater than before! I snapped a few of the newer styles to share with you. Many are knockoffs of pricier versions from other stores, but much more easy on the budget. Although you can't really tell the scale in these photos, I also noticed a trend toward more oversized, chunkier knobs. The top left is SO pretty in real life! 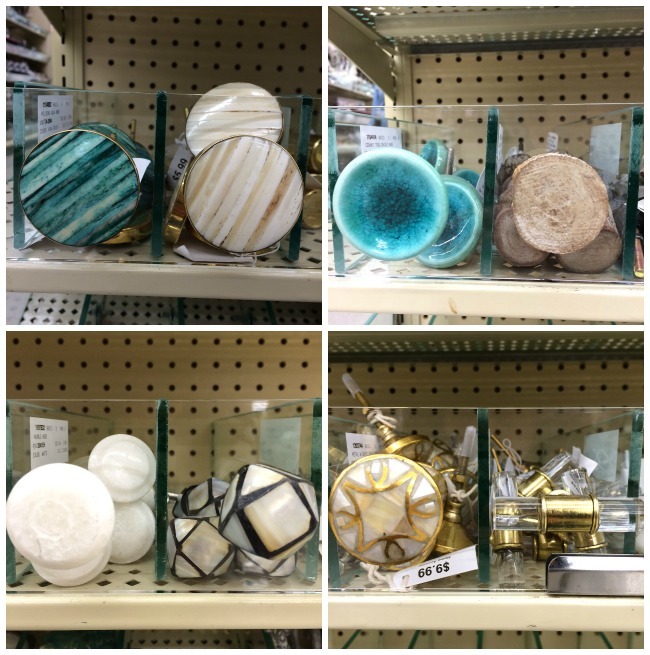 The bottom right is a look alike of much more expensive Anthropologie knobs and the very popular glass/brass combo that they've had for a while. I'll talk a bit more about these at the end of the post. 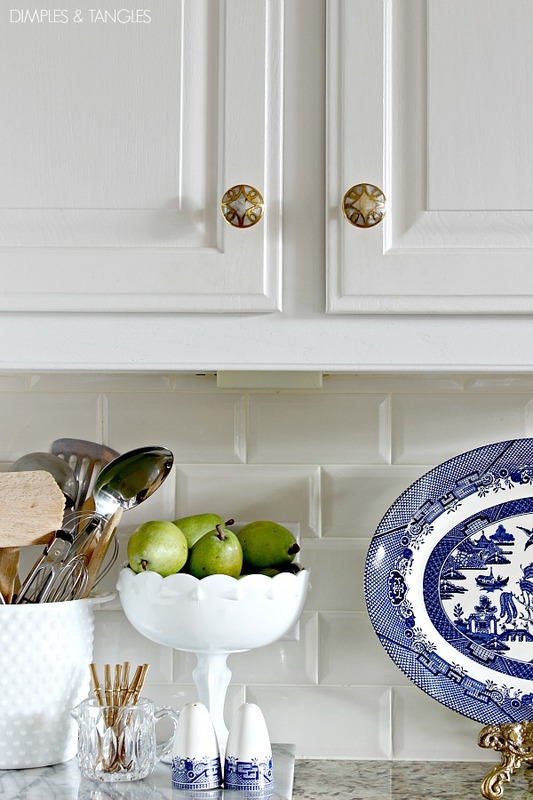 There are so many styles leaning towards natural looking materials and pretty inlaid designs. 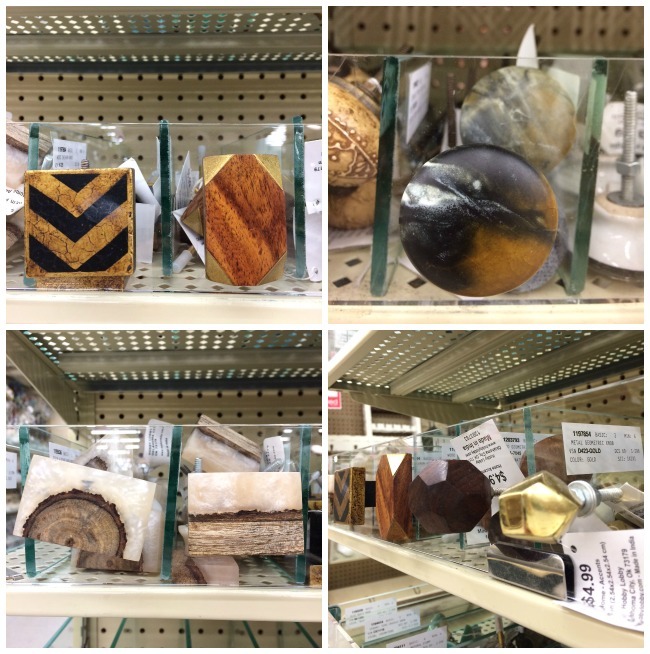 I know they have an agate slice style knob now, also, but I haven't seen that one yet at my local store. I've got an eye out for it! There is a multitude of selections in almost every color, and even lots of multi-colored choices. These animal knobs are so good, especially for a kids room, and easy enough to spray paint if the color isn't quite right. There are several new glass options as well, I really like this abstract spherical shaped one. The beauty doesn't come across in the photo, but these handles are really nice, and super heavy. It has pretty flecks in it and is almost like a marble type material (maybe it IS marble?). These glass backplates are fantastic. You can see they're bigger than my hand, and I think they would be so, so pretty on just the right piece. Just a reminder that the hardware is usually 50% off every other week, so wait for the sale. Also, if you see a knob you like in the store but they don't enough of what you need, they take orders at the front register for any quantity. And, if you're not fortunate enough to have a local store, many knobs and pulls are on their website, and I believe are 1/2 off whenever the sale is on in store. 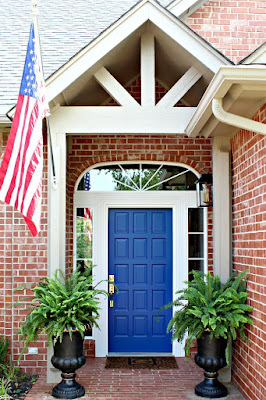 **Hobby Lobby did not sponsor this post, I just love to pass on great finds and bargains! I also firmly support this Oklahoma company and their values and am happy to promote them. Jennifer - thanks for sharing this! I love shopping at HL but it never occurred to me to check there for hardware. Those are some fantastic finds! I love all of their hardware, so pretty and your choice is stunning. Man, they keep getting better! Love! 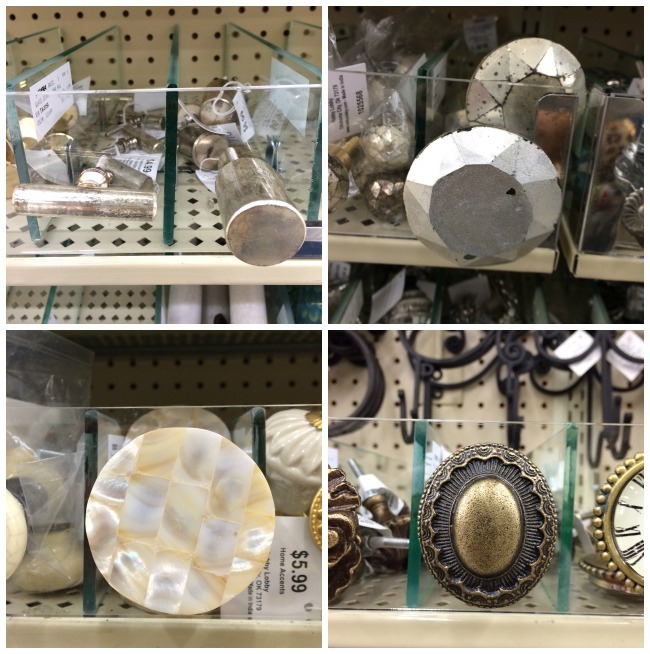 We recently got a Hobby Lobby in our city and I went in there last week, and it is so funny...I literally took a picture of the hardware aisle and sent it to my hubby!!! I could not believe the selection and the prices!!! 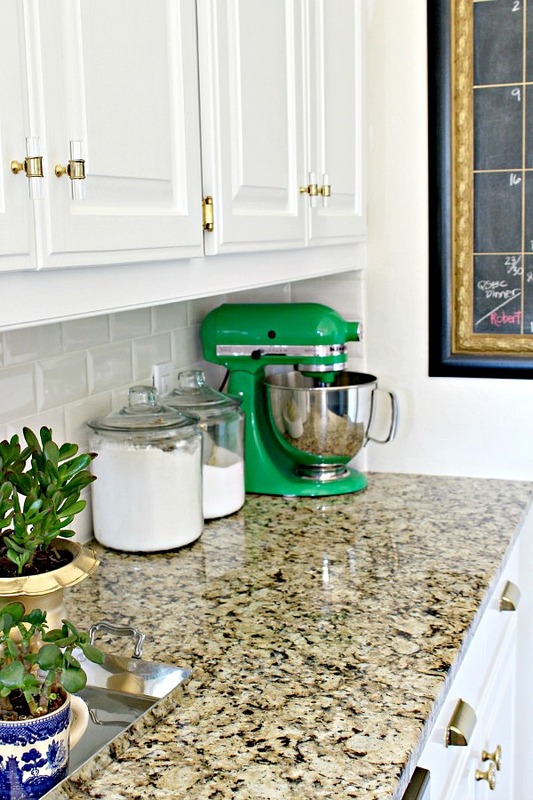 I love the knobs you selected for your cabinets! Hi Margaret, Yes. I do trim the excess length off. For one here and there, my husband has had success with a small hacksaw. However, when I have several to do I borrow my Dad's Dremel tool with a metal cutting wheel. It cuts through them in a few seconds! I just saw those geometric animal heads and I so want to put them in my kiddo's jungle-themed bedroom. When I was there, they weren't on sale...so I'll grab them next time I'm in! Those are SO cute! I think they would look great attached to the wall as well to use as little knobs to hang things from. I love everything about HL...their great selections of everything, prices and their VALUES! That makes me like them even more. I love their knobs. I just bought the spherical gold ones for my black, white and brass bathroom. I love them. So much more affordable than the $17 ones I was about to purchase!! 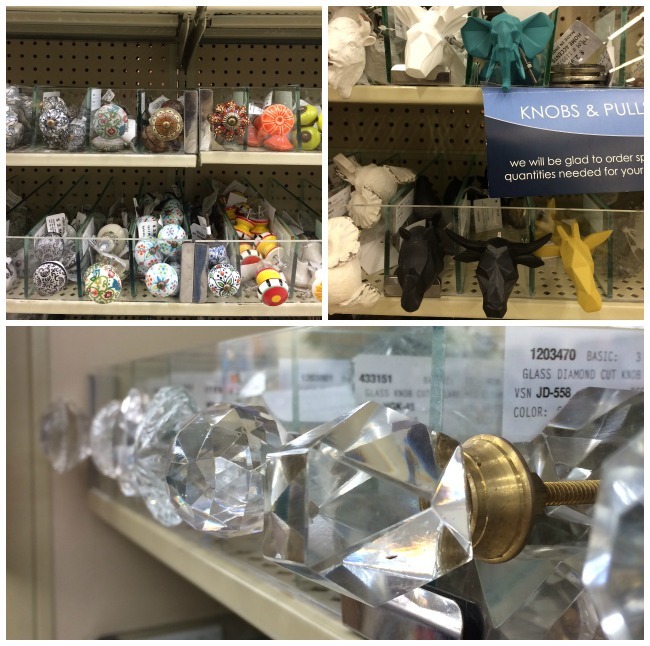 We just got a Hobby Lobby in our town and I can't wait to go look at all of the knobs - they look amazing. Love your new ones! 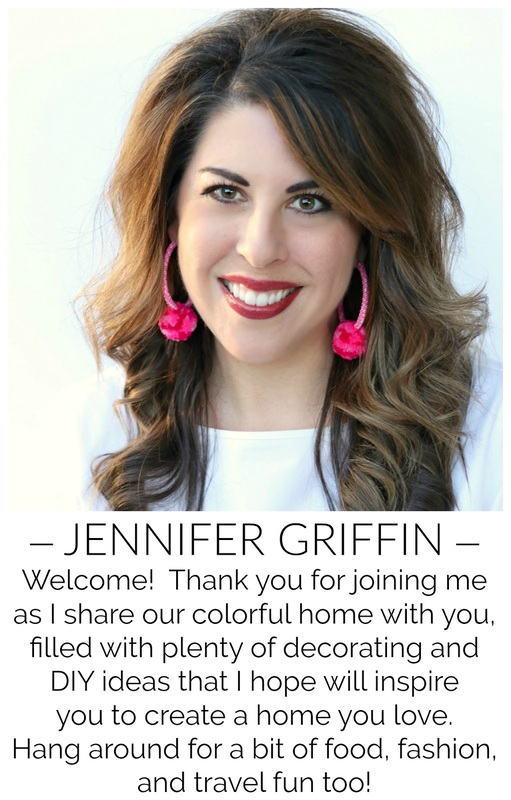 Happy Tuesday, Jennifer! 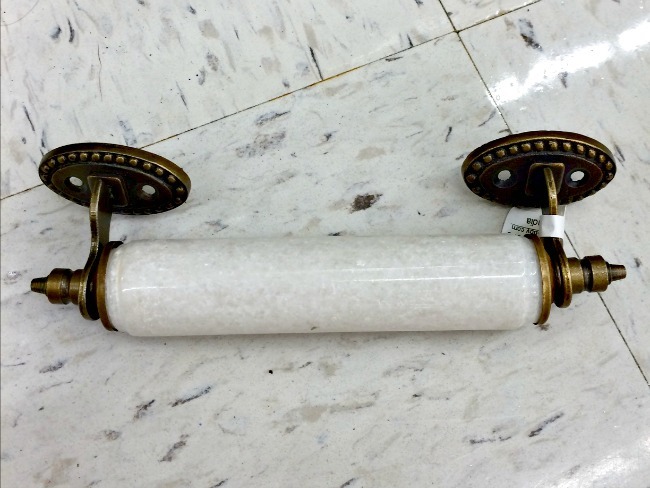 Hobby Lobby and Anthro sells the EXACT same knobs. They have the same manufacturer. They always have the best prices and the neatest knobs! So how have they held up? The newer ones are perfect. 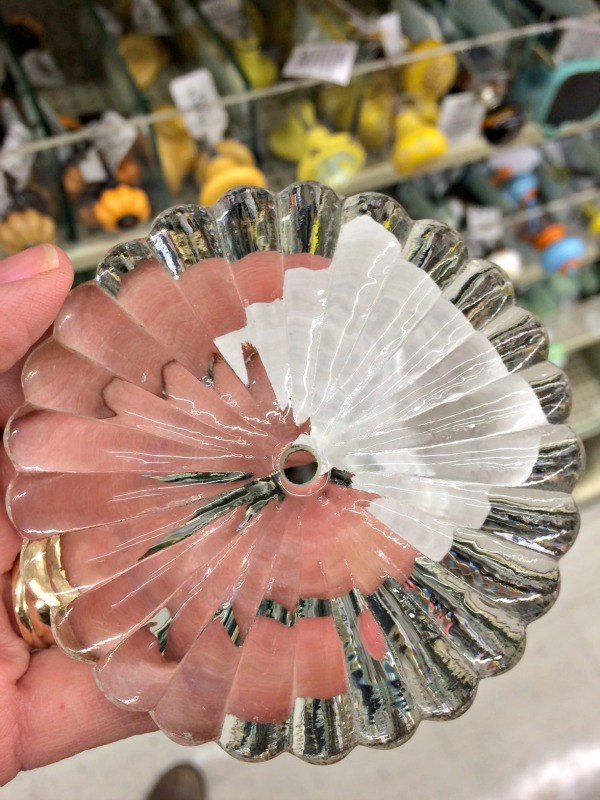 They glass knobs that I replaced were a little hit or miss, not good for high-use pieces (the glass cylinder can come apart from the brass ring).